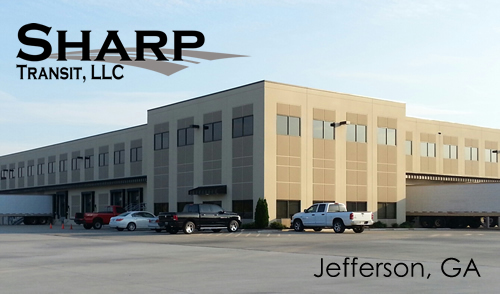 Welcome to Sharp Transit of Jefferson. We are located off I-85 at exit 140, just 60 miles northeast of Atlanta, GA. We opened May 1, 2011 and have grown rapidly. We now service 54 stores in GA, SC, and NC. Sharp Transit is a great place to work with excellent pay and benefits. If you are a professional driver looking for a place to call home, we encourage you to fill out the online application located on the CAREERS menu section of our website.